A review of England’s draft protocol for gender dysphoria services by CL. You can read a copy of the draft protocol here, respond to the survey here, and read my own analysis here. 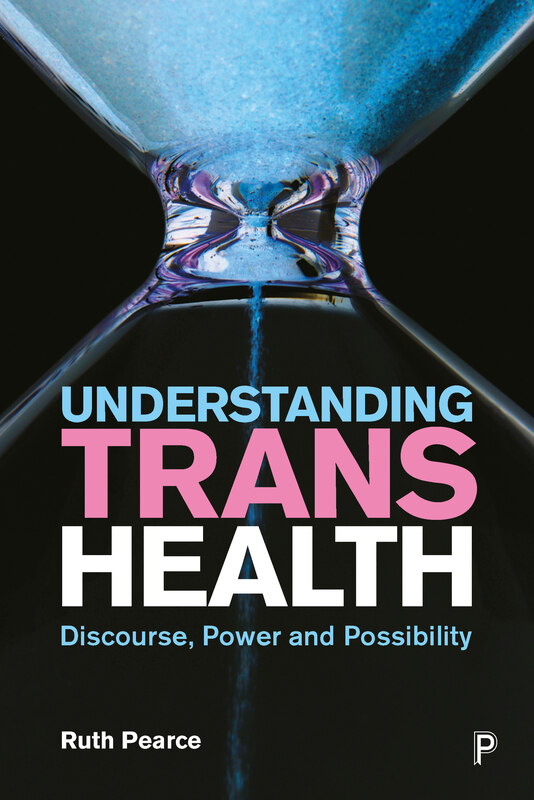 Following the lead of an information note published by the department of health, the draft protocol confirms and compounds the problems of treating gender dysphoria on the NHS. It would at least mostly standardise treatment protocols across England, burdening everyone with the same problems: We’re all in this together, right? The Gender Services Clinical Reference Group is aiming to implement standardised service provision by April 2013 and has given interested groups until September 30 to respond. GIRES has responded, as has Terrence Higgins Trust’s Trans* Women’s Sexual Health and Wellbeing Group, whose submission I contributed to. Our issues with the Department of Health’s Information Note are seen again here, and I’d like to focus on those in particular: the framing, tailoring and requirements of treatment. The logic behind this in the current protocol is not forthcoming. Perhaps it is because there’s a likelihood of additional mental health issues due to the stress of dysphoria. Realistically, it’s because dysphoric people have always been treated as mentally ill, and tradition has kept us under the exclusive care of psychiatrists. Assessment is a large part of the GICs role: confirming that we have Gender Dysphoria and are not merely deluded about our gender identities. Gender Dysphoria strong enough to necessitate transition is rare, certainly, and doctors are warned to be warey of ‘Zebra diagnoses’ (as House of God, the inspiration for ‘Scrubs’ described them). That is, when you hear hooves, think horse, not zebra. That’s sensible advice, but if you’re in southern African plains, thinking Zebra first might not be so unreasonable. In this case, if someone is distressed by their assigned gender and sexed body, identifies strongly as another gender and feels relief when living as that gender, a diagnosis of ‘trans*’ is the most likely answer. Trusting this principle would rob the GICs of hours of questions about your childhood hobbies and masturbatory habits, but it would free up a lot of unnecessary appointments. Scotland has already moved away from the complete ownership of Gender Services by mental health teams, allowing patients to self refer to a GIC. This saves an appointment with a GP, one with a community mental health team and allows direct access. For those who need a diagnosis, removing these two stages of waiting, where ignorance or prejudice can delay or waylay a patient, can get them that diagnosis quicker. Given the burden on admin staff and funding, a time, appointment and money saving move like that is far better than the protocol’s recommendations. The introduction to the protocol claims that it is ‘informed by the 7th edition of the WPATH Standards of Care’ – sadly, it isn’t based on them. Some key recommendations from the 7th SOC were: HRT could be prescribed without RLE and one assessment, Lower Surgery required only one year of RLE (rather, one year of HRT). None of those recommendations are followed here, so the role of the 7th SOC’s ‘informing’ is not apparent. As Ruth points out, this is essentially just the existing Charing Cross treatment. The protocol makes references to giving patients time to consider other options, other approaches, time to reflect and, of course, the RLE’s time to consolidate. There can be great value in this and many people seek the GIC to explore and understand their gender identity. Chances to really assess their history, feelings and situation can be very valuable. A friend in this situation said that her diagnosis brought her great relief and confirmation of her feelings. For others though, this is unnecessary. Many others will have thought, reflected and considered extensively, almost exclusively at times, before seeking a GIC: they know who they are and what they need. For them, the numerous stages to access a GIC, double assessments and arbitrary RLE periods merely delay them, take up clinic time and appointments and cause additonal frustration as they wait for their treatment. Clinics shouldn’t be forcing surgery on everyone at the first appointment, but the slowest common denominator approach is hardly ideal either, and unnecessary, arbitrary waiting is positively detrimental in many cases. Despite the 7th SOC’s ‘informing’ of the protocol (perhaps they were low on coasters? ), RLE remains a key feature of the proposed gender services. The protocol is unclear about RLE requirements for HRT, but indicates that full HRT can be prescribed ‘Dependent on whether an individual has socially transitioned in the sense of living full time’ or is likely to ‘do so immanently’. Top surgery needs a year of RLE, lower surgery needs 2 years. It’s arbitrary. There are medical reasons for a year of HRT for lower surgery, but not for living full time in role. Requirements of being employed have nothing to do with a stable, well founded gender identity. Whilst individuals vary greatly, some people have considerably more difficulty being read as their gender prior to HRT, and AMAB people are more likely to recieve certain forms of harassment if people read them incorrectly. Forcing people into public facing roles to get the treatment they need puts them at direct risk of violence, harassment and discrimination. What ‘real life’ is being experienced? From my own and others’ experience, I know that living full time as a woman pre HRT is vastly different to being full-time after a year on HRT. The near daily abuse and marginalisation, with incumbent stress, is not the real life I’m experiencing now, but was a feature of living as a woman who was visibly trans*. The RLE required is entirely unrepresentative. For all the regional variation and obfustication, the 2 years of RLE for surgery is well known, and patients work to it. The lengthy requirement can prompt patients to ‘start the clock’ running on RLE long before they are ready. Who knows how much suffering has come from that, or from knowing that no help will come before an arbitrary deadline? Patients remain on the GIC’s book during this period: the aforementioned zebras get called in for appointments to needlessly check that they’re still serious, then sent away to wait another 5 months. This takes up appointments that could help patients who are less certain of their needs. Overall, this protocol standardises existing Charing Cross treatment, which is already behind the times in not adjusting to WPATH’s SOC 7, and seems particularly inadequate when compared to the updated Scottish protocol. Most worryingly, its requirements standardise the appointments that add to the waiting times, administrative burden (which currently means Charing Cross are taking 2-3 months to send appointment summaries) and sense of disempowerment that service users experience. With multiple screenings, assessment and ‘time for reflection’, it is particularly unsuited to those who have a clear understanding of their identity and wish to proceed, and who have thought over their option extensively prior to seeking a referral. If this protocol is to last for any significant time, it will hold service users to standards that are already inadequate – If the next update will last, we need to fight for a protocol that truly moves treatment forward, so make sure to give your views in the protocol’s survey.